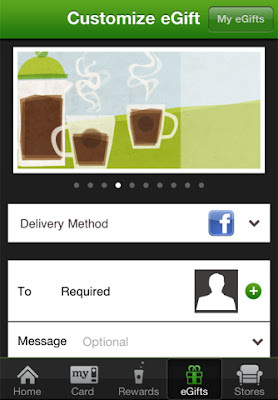 Starbucks app for iPhone has been updated to version 2.0 and provides lots of new features. 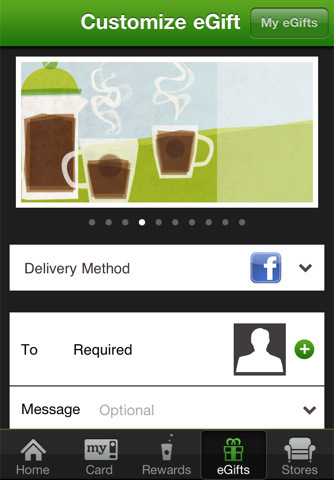 The updated app has combined functionality of the two starbucks iOS apps, myStarbucks and Starbucks Card Mobile. Refreshed look and feel with our new logo and improved performance. Pay with your Starbucks Card using your phones, reload and transfer balances on your Cards. See your My Starbucks Rewards level and star balance. eGift functionality lets you send a gift to friends and family using your iPhone. Customizable navigation lets you use the app just the way you like it!